Vehicles are all around us. From the minivan in the next lane to the police car on the side of the highway, it’s difficult to go an entire day without encountering a vehicle of some kind (unless it’s a Netflix and chill kind of day). Children are very astute, so it’s likely that your son/daughter/niece/nephew/grandchild/random kid you know has noticed the different types of vehicles, even at a very young age. 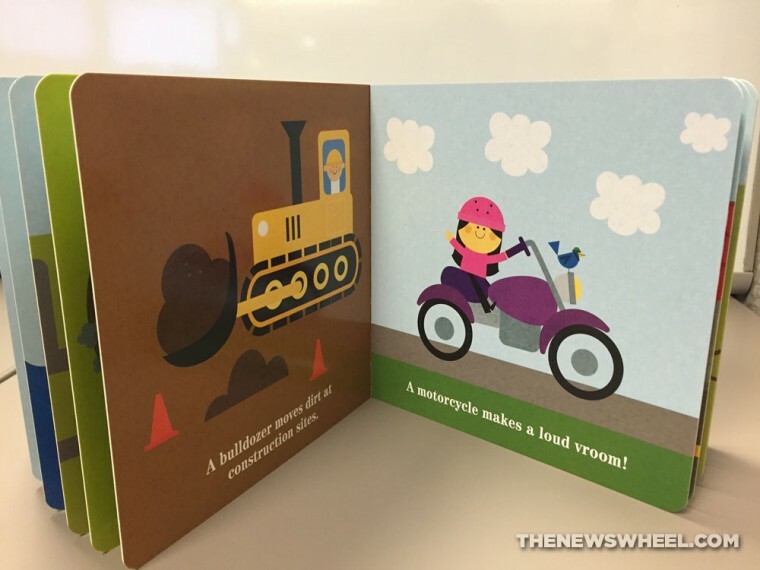 If you want to teach your child about varying types of vehicles and what they do, there’s no better way to do so than with a board book. Designed for toddlers up to preschoolers, this book offers a great way for parents and children to interact while learning about all the things that go vroom. 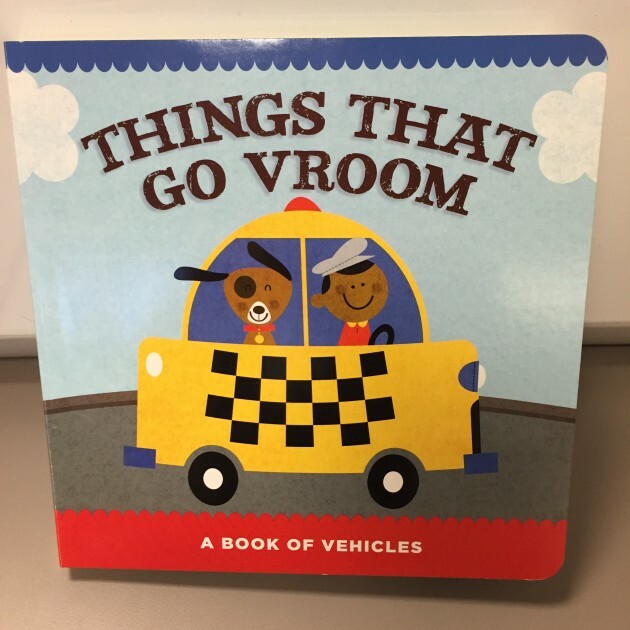 Things That Go Vroom is designed to teach toddlers and young children about a multitude of different vehicle types, as well as their purpose. Vehicles range from the common (school bus, mail truck, convertible, motorcycle) to the more unusual (helicopter, rocket ship, dune buggy, snowmobile). 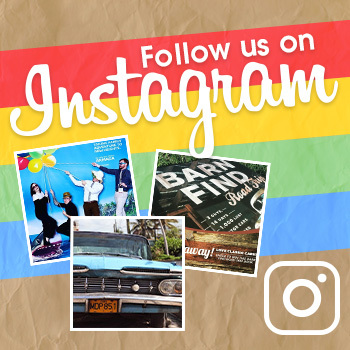 In all, the book features 24 different vehicles with varying tasks that children might recognize from the road. 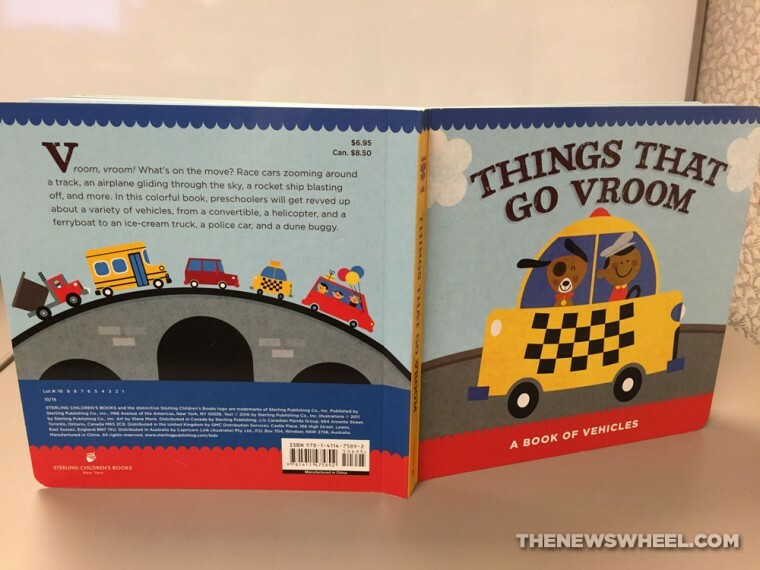 With each vehicle comes an action; “A train crisscrosses all over the country,” or “Race cars zoom around a track!” As parents flick through the book with their children, they’ll be able to follow along with the words while chatting about the detailed, colorful artwork that accompanies each phrase. Things That Go Vroom is designed for children ages 1–4. However, the pages are quite thin compared to other board books. Parents may want to hold off giving this book to younger toddlers who prefer chewing on books to reading them, since the pages might not hold up to tenacious teethers. However, I wouldn’t see this as an issue for older children who have learned not to use books as teething toys. The images themselves are bright and cheerful, and offer plenty of details for parents to discuss with their children. In fact, older children might prefer to explore the book without the help of a parent, and the pages are thick enough that tearing wouldn’t be a concern at that age. The book itself gives a thorough insight into the various vehicles children might encounter, and the images and words are easy to follow along with for both parents and children. 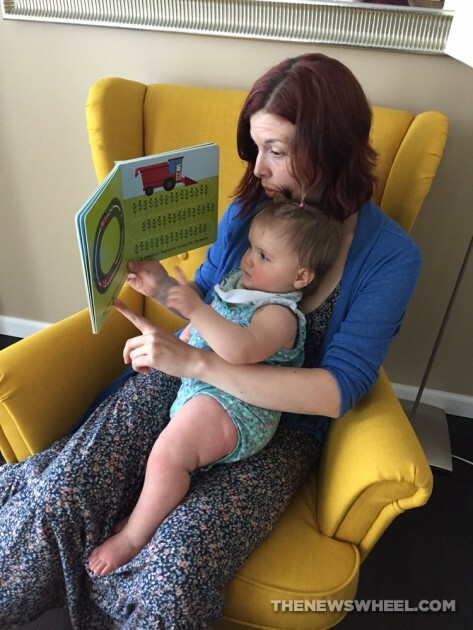 I read the book with my one-year-old daughter, who is past the book-eating phase but tends to be a bit rough when “helping” me to turn pages. Given the flimsiness of the pages, I’d be hesitant to leave her unoccupied with the book in case she did decide to munch on it. However, I’d definitely consider revisiting the book once she is older and (hopefully) gentler. Overall, I would recommend Things That Go Vroom: A Book of Vehicles to parents of older children, but I’d hesitate to give this as a gift to a baby or a toddler. If the pages were just slightly thicker, the book would be much more durable, and therefore more appropriate for kids around my daughter’s age. Things That Go Vroom: A Book of Vehicles is available through Amazon, Barnes and Noble, Wal Mart, Books-a-Million, and other retailers.